قاسمی, زهرا, یونسی, حبیب ا..., زینتی زاده, علی اکبر. (1395). کارایی فتوکاتالیست نانواکسید تیتانیوم تثبیت شده بر زئولیت Fe-ZSM-5 در حذف آلاینده‌های آلی پساب پالایشگاه نفت. مجله آب و فاضلاب, 27(2), 22-33. زهرا قاسمی; حبیب ا... یونسی; علی اکبر زینتی زاده. "کارایی فتوکاتالیست نانواکسید تیتانیوم تثبیت شده بر زئولیت Fe-ZSM-5 در حذف آلاینده‌های آلی پساب پالایشگاه نفت". مجله آب و فاضلاب, 27, 2, 1395, 22-33. قاسمی, زهرا, یونسی, حبیب ا..., زینتی زاده, علی اکبر. (1395). 'کارایی فتوکاتالیست نانواکسید تیتانیوم تثبیت شده بر زئولیت Fe-ZSM-5 در حذف آلاینده‌های آلی پساب پالایشگاه نفت', مجله آب و فاضلاب, 27(2), pp. 22-33. قاسمی, زهرا, یونسی, حبیب ا..., زینتی زاده, علی اکبر. کارایی فتوکاتالیست نانواکسید تیتانیوم تثبیت شده بر زئولیت Fe-ZSM-5 در حذف آلاینده‌های آلی پساب پالایشگاه نفت. مجله آب و فاضلاب, 1395; 27(2): 22-33. پساب پالایشگاه نفت حاوی غلظت‌های متفاوتی از هیدروکربن‌های نفتی آروماتیک و آلیفاتیک است. با توجه به اینکه محتوای آروماتیک سمی بوده و با تصفیه متداول به راحتی حذف نمی‌شود، برای حذف این دسته از آلاینده‌ها، روش‌های پیشرفته نیاز است. در این مطالعه حذف و تخریب فتوکاتالیتیکی آلاینده‌های آلی پساب پالایشگاه نفت مورد بررسی قرار گرفت. ابتدا فتوکاتالیست TiO2-Fe-ZSM-5 با نشاندن TiO2 در ساختار زئولیت Fe-ZSM-5 سنتزی تهیه شد. سپس از ‌روش‌های پراش اشعه ایکس، فلورسانس اشعه ایکس، طیف‌سنجی مادون قرمز فوریه، میکروسکوپ الکترونی روبشی، میکروسکوپ الکترونی عبوری و جذب و واجذب نیتروژن برای بررسی خصوصیات ساختاری، فیزیکی و شیمیایی محصولات تولید شده استفاده شد. فتوکاتالیست TiO2-Fe-ZSM-5 با خلوص بالا، درصد TiO2 برابر 28/29 و مساحت سطح ویژه برابر 6/304 مترمربع بر گرم سنتز شد. 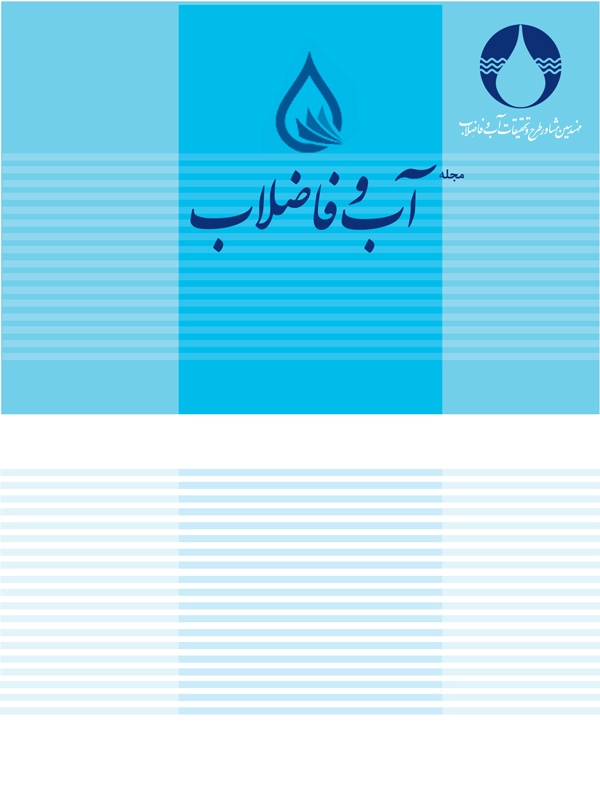 در ادامه، فتوکاتالیست TiO2-Fe-ZSM-5 سنتزی به‌منظور حذف ترکیبات آلی و تصفیه پساب پالایشگاه نفت بندرعباس مورد استفاده قرار گرفت. مقدار بیشینه 80 درصد حذف ترکیبات آلی در شرایط بهینه pH برابر 4، دز فتوکاتالیست برابر 3 گرم در لیتر، دما برابر 45 درجه سلسیوس و زمان تابش نور ماوراء بنفش برابر 240 دقیقه به‌دست آمد. Effluents from oil refineries contain different concentrations of aliphatic and aromatic hydrocarbons. Given the toxicity of the aromatic fraction that is not readily degradable by conventional treatment processes, advanced processes are required for their removal. This study investigated the photocatalytic degradation and removal of organic contaminants from oil refinery effluents. For this purpose, TiO2-Fe-ZSM-5 photocatalyst was initially produced by immobilizing TiO2 into the structure of synthetic Fe-ZSM-5 zeolite. X-Ray diffraction, X-Ray fluorescence, Fourier transform infrared (FTIR) spectroscometry, scanning electron microscopy, transmission electron microscopy, and nitrogen sorption/desorption techniques were then employed to determine the structural and physicochemical properties of the products. High purity TiO2-Fe-ZSM-5 photocatalyst with a TiO2 percentage of 29.28 and a specific surface area of 304.6 m2g-1 was synthesized. The photocatalyst thus obtained was then applied for the removal of organic pollutants from the effluent of Bandar Abbas Oil Refinery. A maximum COD reduction of more than 80% was achieved under optimum conditions (i.e., pH: 4, catalyst concentration: 3 g/l, temperature: 45 °C, and UV exposure time: 240 min). 1. Wake, H. (2005). “Oil refineries: A review of their ecological impacts on the aquatic environment.” Estuarine, Coastal and Shelf Science, 62, 131-140. 2. Pekakis, P. A., Xekoukoulotakis, N. P., and Mantzavinos, D. (2006). “Treatment of textile dyehouse wastewater by TiO2 photocatalysis.” Water Research, 40, 1276-1286. 3. Sarria, V., Péringer, P., Cáceres, J., Blanco, J., Malato, S., and Pulgarin, C. (2004). “Solar degradation of 5-amino-6-methyl-2-benzimidazolone by TiO2 and iron(III) catalyst with H2O2 and O2 as electron acceptors.” Energy, 29, 853-860. 4. Zahraa, O., Chen, H. Y., and Bouchy, M. (1999). “Adsorption and photocatalytic degradation of 1,2-dichloroethane on suspended TiO2.” Journal of Advanced Oxidation Technologies, 4, 167-173. 5. Huang, Q., and Hong, C.-S. (2000). “TiO2 photocatalytic degradation of PCBs in soil-water systems containing fluoro surfactant.” Chemosphere, 41, 871-879. 6. Zhang, L., Li, P., Gong, Z., and Li, X. (2008). “Photocatalytic degradation of polycyclic aromatic hydrocarbons on soil surfaces using TiO2 under UV light.” Journal of Hazardous Materials, 158, 478-484. 7. Santos, F. V., Azevedo, E. B. Sant'Anna Jr. G. L., and Dezotti, M. (2006). “Photocatalysis as a tertiary treatment for petroleum refinery wastewaters.” Brazilian Journal of Chemical Engineering, 23, 451-460. 8. Wang, K.-H., Hsieh, Y.-H., Ko, R.-C., and Chang, C.-Y. (1999). “Photocatalytic degradation of wastewater from manufactured fiber by titanium dioxide suspensions in aqueous solution.” Environment International, 25, 671-676. 9. Akpan, U. G., and Hameed, B. H. (2009). “Parameters affecting the photocatalytic degradation of dyes using TiO2-based photocatalysts: A review.” Journal of Hazardous Materials, 170, 520-529. 10. Hoffmann, M. R., Martin, S. T., Choi, W. Y., and Bahnemann, D. W. (1995). “Environmental applications of semiconductor photocatalysis.” Chem. Rev., 95 (1), 69-96. 11. Konstantinou, I. K., and Albanis, T. A. (2004). “TiO2-assisted photocatalytic degradation of azo dyes in aqueous solution: kinetic and mechanistic investigations: A review.” Applied Catalysis B: Environmental, 49, 1-14. 12. Wang, Z., Cai, W., Hong, X., Zhao, X., Xu, F., and Cai, C. (2005). “Photocatalytic degradation of phenol in aqueous nitrogen-doped TiO2 suspensions with various light sources.” Applied Catalysis B: Environmental, 57, 223-231. 13. Anandan, S., and Yoon, M. (2003). “Photocatalytic activities of the nano-sized TiO2-supported Y-zeolites.” Journal of Photochemistry and Photobiology C: Photochemistry Reviews, 4, 5-18. 14. Divakar, D., Romero-Sáez, M., Pereda-Ayo, B., Aranzabal, A., González-Marcos, J. A., and González-Velasco. J. R. (2011). “Catalytic oxidation of trichloroethylene over Fe-zeolites.” Catalysis Today, 176, 357-360. 15. Koekkoek, A. J. J., Kim, W., Degirmenci, V., Xin, H., Ryoo, R., and Hensen, E. J. M. (2013). “Catalytic performance of sheet-like Fe/ZSM-5 zeolites for the selective oxidation of benzene with nitrous oxide.” Journal of Catalysis, 299, 81-89. 16. Brückner, A., Lück, R., Wieker, W., Fahlke, B., and Mehner, H. (1992). “E.p.r. study on the incorporation of Fe(III) ions in ZSM-5 zelites in dependence on the preparation conditions.” Zeolites, 12, 380-385. 17. Ko, S., Fleming, P. D., Joyce, M., and Ari-Gur, P. (2009). “High performance nano-titania photocatalytic paper composite. Part II: Preparation and characterization of natural zeolite-based nano-titania composite sheets and study of their photocatalytic activity.” Materials Science and Engineering: B, 164, 135-139. 18. APHA. (1999). Standard methods for the examination of water and wastewater, American Public Health Association, Washington, DC. 19. Sari, Z., Younesi, H., and Kazemian, H. (2015). “Synthesis of nanosized ZSM-5 zeolite using extracted silica from rice husk without adding any alumina source.” Apply Nanosci., 5, 737-745. 20. Zhang, X., Wang, J., Liu, H., Liu, C., and Yeung, K. (2003). “Factors affecting the synthesis of hetero-atom zeolite Fe-ZSM-5 membrane.” Separation and Purification Technology, 32, 151-158. 21. Wang, C., Shi, H., and Li, Y. (2011). “Synthesis and characteristics of natural zeolite supported Fe3+-TiO2 photocatalysts.” Applied Surface Science, 257, 6873-6877. 22. Vempati, R. K., Borade, R., Hegde, R. S., and Komarneni, S. (2006). “Template free ZSM-5 from siliceous rice hull ash with varying C contents.” Microporous and Mesoporous Materials, 93, 134-140. 23. IUPAC. (2013). Posting date. recommendations on organic and biochemical nomenclature, symbols and terminology etc, IUPAC. 24. Ma, J., Weng, D., Wu, X., Si, Z., and Wu, Z. (2013). “Highly dispersed iron species created on alkali-treated zeolite for ammonia SCR.” Progress in Natural Science: Materials International, 23, 493-500. 25. Gomez, S., Marchena, C. L., Pizzio, L., and Pierella, L. (2013). “Preparation and characterization of TiO2/HZSM-11 zeolite for photodegradation of dichlorvos in aqueous solution.” Journal of Hazardous Materials, 258-259, 19-26. 26. Li, F., Jiang, Y., Yu, L., Yang, Z., Hou, T., and Sun, S. (2005). “Surface effect of natural zeolite (clinoptilolite) on the photocatalytic activity of TiO2.” Applied Surface Science, 252, 1410-1416. 27. Zainudin, N. F., Abdullah, A. Z., and Mohamed, A. R. (2010). “Characteristics of supported nano-TiO2/ZSM-5/silica gel (SNTZS): Photocatalytic degradation of phenol.” Journal of Hazardous Materials, 174, 299-306. 28. Ahmed, S., Rasul, M. G., Martens, W. N., Brown, R., and Hashib, M. A. (2010). “Heterogeneous photocatalytic degradation of phenols in wastewater: A review on current status and developments.” Desalination, 261, 3-18. 29. Pirkarami, A., Olya, M. E., and Raeis Farshid, S. (2014). “UV/Ni–TiO2 nanocatalyst for electrochemical removal of dyes considering operating costs.” Water Resources and Industry, 5, 9-20. 30. Saien, J., Delavari, H., and Solymani, A. R. (2010). “Sono-assisted photocatalytic degradation of styrene-acrylic acid copolymer in aqueous media with nano titania particles and kinetic studies.” Journal of Hazardous Materials, 177, 1031-1038. 31. Habibi, M. H., and Vosooghian, H. (2005). “Photocatalytic degradation of some organic sulfides as environmental pollutants using titanium dioxide suspension.” Journal of Photochemistry and Photobiology A: Chemistry, 174, 45-52. 32. Saien, J., and Nejati, H. (2007). “Enhanced photocatalytic degradation of pollutants in petroleum refinery wastewater under mild conditions.” Journal of Hazardous Materials, 148, 491-495. 33. Shahrezaei, F., Mansouri, Y., Zinatizadeh, A. A. L., and Akhbari, A. (2012). “Process modeling and kinetic evaluation of petroleum refinery wastewater treatment in a photocatalytic reactor using TiO2 nanoparticles.” Powder Technology, 221, 203-212. 34. Jain, R., and Shrivastava, M. (2008). “Photocatalytic removal of hazardous dye cyanosine from industrial waste using titanium dioxide.” Journal of Hazardous Materials, 152, 216-220.